Nestled in the High Sierra Mountains with crystal clear waters and snow-capped mountains, Lake Tahoe is one of the most popular vacation destinations in the country. People travel from all over the world to experience the spectacular beauty and exciting adventures of Lake Tahoe. Staying in a Lake Tahoe vacation rental is the perfect way to enjoy its many outdoor ventures no matter what time of year. From world-class skiing, snowboarding and snowshoeing, to mountain biking, rock climbing, river rafting and hiking, the Tahoe area offers something for everyone in every season. Tahoe Rental Company is here to help you find the perfect home to suit your vacation needs. Browse our selection of homes, condos and cabins to find the right vacation rental to suit your style, and your budget. 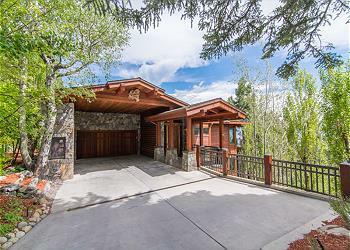 With vacation and ski-lease rentals located throughout the Tahoe and Truckee area, you'll be sure to find the ideal home. Looking for family fun? Consider booking one of our Tahoe City Dollar Point or West Shore Chamberland homes which give you access to a community pool and put you in close proximity to the beach, the slopes, and many other activities and sights. Ski trip? Check out our selection of wooded cabins for rent. After hitting the slopes all day, our cabins offer a warm retreat; many with fireplaces and hot tubs. 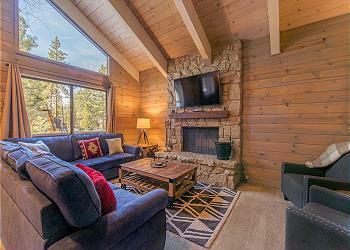 Call today to book your Tahoe Vacation Rental and start planning your trip.